Dashing Secret Agent James Bond 007 returns in the forthcoming novel Trigger Mortis by Anthony Horowitz. Packed with speed, danger, strong women and fiendish villains, the story begins in the glamourous but lethal high octane world of Grand Prix racing. Bond learns that The Russians intend to sabotage a race at Nürburgring, the most challenging and dangerous track in Europe. So He agrees to enter the race undercover to track down the criminals. In the film series, instead of being SMERSH Bond’s arch enemy became SPECTRE, who first appeared in Fleming’s novel Thunderball (1961). SPECTRE is introduced in the first film, Dr. No (1962), in which Julius No explains to Bond that it is the acronym for the SPecial Executive for Counterintelligence, Terrorism, Revenge, and Extortion, the four great cornerstones of power. Film versions of novels where SMERSH appears substituted either SPECTRE or independent villains. American musical legend Ray Charles sadly died 10 June 2004 as a result of liver failure/hepatitis C at his home at the age of 73 years old. Born September 23, 1930. His musical curiosity was first sparked when he heard boogie woogie played on an old upright piano. Charles started to lose his sight at the age of five & went completely blind by the age of seven, apparently due to glaucoma. He attended school at the Florida School for the Deaf and the Blind in St. Augustine from 1937 to 1945,where he developed his musical talent. During this time he performed on WFOY radio in St. Augustine. In school, Charles was taught only classical music, but wanted to play the jazz and blues. While at school, he became the school’s premier musician.Charles was 15 When his mother died. He didn’t return to school, preferring instead, to play the piano for bands at the Ritz Theatre in LaVilla, earning $4 a night. He also played with a southern band called The Florida Playboys. This is where he began his habit of always wearing sunglasses, made by designer Billy Stickles. Charles had always played for other people, but he wanted his own band, so He decided to leave Florida and moved to Seattle in 1947 (where he first met and befriended a 14-year-old Quincy Jones, and soon started recording, first for the Down Beat label as the Maxin Trio with guitarist G.D. McKee and bassist Milton Garrett. His final album, Genius Loves Company, released two months after his death, consists of duets with various admirers and contemporaries: B.B. King, Van Morrison, Willie Nelson, James Taylor, Gladys Knight, Michael McDonald, Natalie Cole, Elton John, Bonnie Raitt, Diana Krall, Norah Jones, and Johnny Mathis. The album won eight Grammy Awards, including five for Ray Charles for Best Pop Vocal Album, Album of the Year, Record of the Year and Best Pop Collaboration with Vocals for “Here We Go Again” with Norah Jones, and Best Gospel Performance for “Heaven Help Us All” with Gladys Knight; he also received nods for his duets with Elton John and B.B. King. The album included a version of Harold Arlen’s “Over the Rainbow”, sung as a duet by Charles and Johnny Mathis; this record was played at his memorial serviceTwo more posthumous albums, Genius & Friends and Ray Sings, Basie Swings, were released. Genius & Friends consisted of duets recorded from 1997 to 2005 with his choice of artists. Ray Sings, Basie Swings consists of archived vocals of Ray Charles from live mid-1970s performances added to new instrumental tracks specially recorded by the contemporary Count Basie Orchestra and other musicians. Charles’s vocals recorded from the concert mixing board were added to new accompaniments to create a “fantasy concert” recording. The late great Frank Sinatra called Charles “the only true genius in show business” and Rolling Stone ranked Charles number ten on their list of “100 Greatest Artists of All Time” in 2004, and number two on their November 2008 list of “100 Greatest Singers of All Time”. Prince Philip is a member of the Danish-German House of Schleswig-Holstein-Sonderburg-Glücksburg, And was born in Greece into the Greek royal family, but his family was exiled from Greece when he was a child. After being educated in Germany, England and Scotland, he joined the British Royal Navy at the age of 18 in 1939. From July 1939, he began corresponding with the 13-year-old Princess Elizabeth, his third cousin and the eldest daughter and heiress presumptive of King George VI, whom he had first met in 1934. During World War II he served with the Mediterranean and Pacific fleets. After the war, Philip was granted permission by George VI to marry Elizabeth. Prior to the official engagement announcement, he abandoned his Greek and Danish royal titles, converted from Greek Orthodoxy to Anglicanism, and became a naturalised British subject, adopting the surname Mountbatten from his British maternal grandparents. Jimmy Chamberlain, the former drummer with alternative rock band Smashing Pumpkins was born 10th Jine 1965. 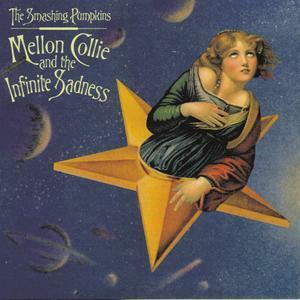 The Smashing Pumpkins were formed in Chicago, Illinois in 1988 with Billy Corgan on lead vocals, lead guitar and James Iha playing rhythm guitar, the band has also included Jimmy Chamberlin (drums), D’arcy Wretzky (bass), and currently includes Jeff Schroeder (rhythm guitar, backing vocals) Mike Byrne (drums), and Nicole Fiorentino (bass guitar, backing vocals) amongst its membership.Frontman Billy Corgan is the group’s primary songwriter—his grand musical ambitions and cathartic lyrics have shaped the band’s albums and songs, which all have a diverse, densely layered and guitar-heavy sound, containing elements of gothic rock, grunge, heavy metal, dream pop, psychedelic rock, progressive rock and shoegazer-style production, as well as full string arrangements and radiant orchestral chimes. Unfortunately in 2000, internal fighting, drug use, and diminishing record sales led to a break-up of the band. However In 2006, Billy Corgan and Jimmy Chamberlin reconvened to record a new Smashing Pumpkins album, the splendidly noisy “Zeitgeist” (One of the songs “Doomsday Clock” is also used in the first Transformers Movie).The band toured with a rotating lineup of between five and nine musicians through much of 2007 and 2008 before Chamberlin left the band in early 2009. New drummer Mike Byrne and bassist/vocalist Nicole Fiorentino solidified a new lineup with Corgan and Schroeder, toured through much of 2010, I also think Teargarden by Kaleidyscope, and Oceania are rather good too.The Smashing Pumpkins also released their latest album Monuments to an Elegy in 2014 although Billy Corgan is the only original member left of the Original Smashing Pumpkins. Kim Deal from American Alternative Rock Band the Pixies was born on June 10th 1961 and lead guitarist Joey Santiago was born June 10th 1965. The Pixies were formed in Boston, Massachusetts in 1986 and The group consists of Black Francis (vocals, rhythm guitar), Joey Santiago (lead guitar), Kim Deal (bass, vocals), and David Lovering (drums). 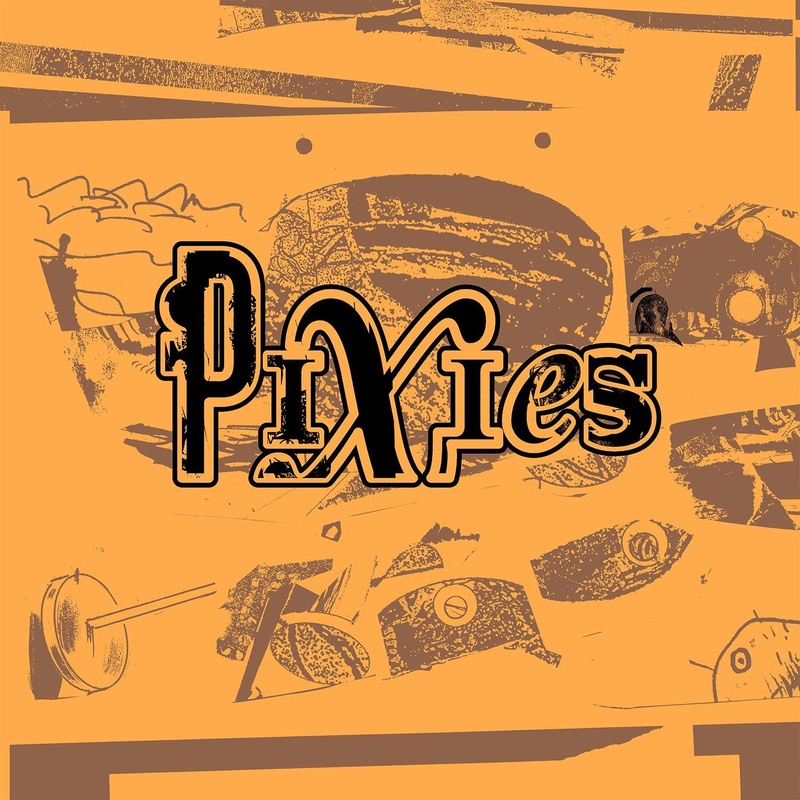 While the Pixies found only modest commercial success in their home country, they were significantly more successful in the United Kingdom and elsewhere in Europe. The group disbanded in 1993 under acrimonious circumstances but reunited in 2004.The band’s style of music contains elements of indie rock and surf rock. Black Francis is the Pixies’ primary songwriter and singer who is noted for his yowling delivery. He has typically written about offbeat subjects, such as extraterrestrials, surrealism and biblical violence. The group has been described as a big influence on the alternative rock boom of the 1990s, though they disbanded before reaping any of the benefits this might have brought them. Avowed fan Kurt Cobain’s acknowledgment of the debt his band Nirvana owed to the Pixies, along with similar tributes by other alternative bands, helped the Pixies’ legacy and popularity grow in the years following their break-up, leading to sold-out tours following their reunion in 2004. Lead singer Black Francis a.k.a Frank Black has also released many solo albums since The Pixies split. However the Pixies also recently reformed and released the album Indie Cindy in 2014.